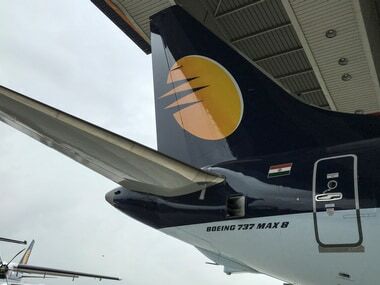 Mumbai: Shares of Jet Airways plunged nearly 8 percent on Tuesday amid reports that the company is likely to temporarily shut down its operations. The scrip tumbled 7.62 percent to close at Rs 241.85 on the BSE. During the day, it plummeted 18.56 percent to Rs 213.20. At the NSE, shares plunged 7.71 percent to close at Rs 241.50. On the traded volume front, 48.67 lakh shares of the company were traded on the BSE and over five crore shares on the NSE during the day. The company's market valuation also fell by Rs 225.65 crore to Rs 2,747.35 crore on the BSE. 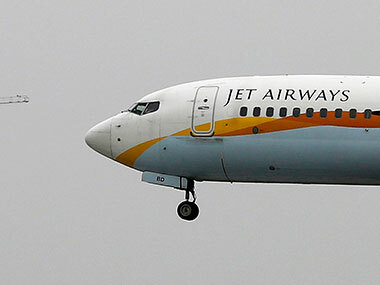 The BSE has sought clarification from Jet Airways (India) Ltd with reference to news that it is likely to temporarily shut down its operations. Jet Airways is grappling with an acute financial crunch and is operating less than 10 planes besides temporarily suspending international operations. The management of cash-strapped Jet Airways will take a final call by end of the day on whether to continue operations as the airline makes last-ditch efforts to raise funds, sources said Tuesday. The carrier, which was founded more than 25 years ago, has already suspended international operations till 18 April. 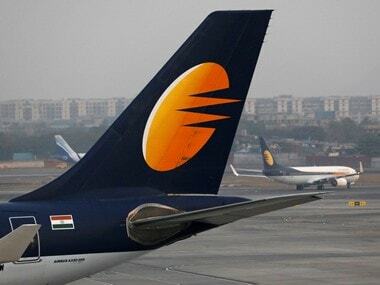 On Monday, Jet Airways CEO Vinay Dube said the lenders could not decide on the emergency funding and that the airline's board would meet on Tuesday to take a call on the future.